Enroute from Rotterdam to Antwerp the "Med Adriatic", whilst navigating the Wester Scheldt, encountered propulsion problems on Aug 1, 2016. 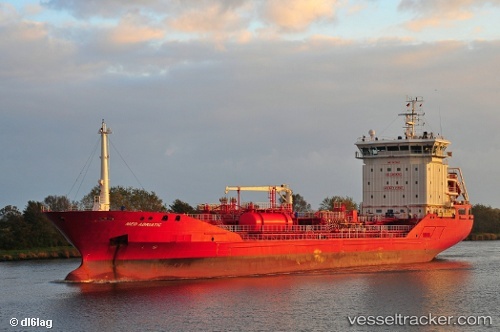 The tugs "Multratug 29" and "Gent" attended the troubled vessel, and the "Gent" towed the tanker to the Put of Terneuzen where she was anchored. On Aug 2 the ship set sail again and headed for Derince, ETA Aug 14.